Bringing pets into our families provides us with companionship, affection and love, but this relationship also requires rules for cohabitating. The first rule all dogs and cats need to understand when they live with humans is where they are allowed to “do their business”. When they get that one wrong, life becomes unpleasant very quickly for everyone! However, there can be situations when inappropriate urination is not a sign that your pet needs more training, but a symptom that your pet is sick. The urinary system is comprised of the kidneys, ureters, bladder and urethra. The kidneys are a pair of small organs located on either side of an animal’s lumbar vertebrae. All of the normal metabolic processes necessary for life keep the body continuously active metabolizing food, utilizing nutrients and breaking down cells. These reactions result in by-products. Some by-products are reabsorbed into other uses in the body while others are simply waste and need to be removed. The most important route for waste elimination is through the urinary system. The kidneys filter the blood so that useful substances circulate back into the body where they can be used and waste materials are excreted as urine. The kidneys also maintain a healthy fluid balance by excreting excess water, regulating pH by eliminating unbalanced ions, and even support red blood cell production by producing hormones. Once all of these materials are filtered out of the blood stream by the kidneys, they travel down the ureters (tubes) to the bladder. The bladder holds all of these waste products until the animal is ready to urinate. When the cat or dog urinates, the urine is release from the bladder and travels down the urethra where it is excreted. Urinary tract infections (UTIs) occur when bacteria is introduced and travels up the urethra. The most common type of UTI is called a “lower” urinary tract infection because the bacteria and inflammation is confined to just the urethra. 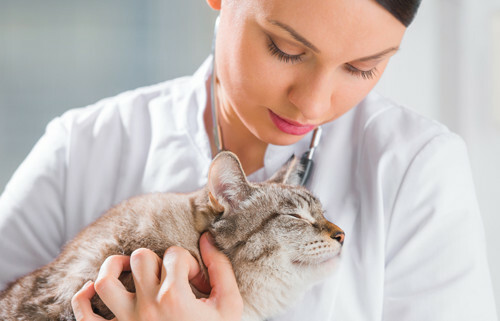 Lower UTIs are the #1 reason cats are brought to the vet. However, the infection can spread up to the bladder, ureters and even the kidneys. The further up the tract that the infection goes the more serious it is. Normal dog and cat urine is on the slightly acidic side of neutral and should have a pH of around 6.0 to 7.0. When the pH of urine gets too high or too low, crystals occur. For example, when the pH is too high (alkaline) struvite crystals can form, which is the most common type in dogs and cats. Other debris found in urine includes minerals and proteins. When too much debris is present, it can form stones called uroliths. Crystals and uroliths irritate the urinary tract making it susceptible to bacterial infection. Larger uroliths can make urination difficult or block the urethra, requiring surgery. Researchers still do not have a solid understanding of exactly the hows & whys crystals and stones are formed, but believe they can be effected by a number of factors including diet, disease, intestinal absorption, medications, endocrine abnormalities and water intake. 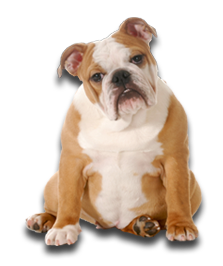 Stress from changes to a pet’s routine or environment is another common trigger for pets predisposed to UTIs. UTIs are typically a chronic affliction that needs long term management to prevent them from reoccurring. Cats in particular can suffer from chronic UTIs because their uroliths form as grains of sand instead of large stones, which makes them especially irritating to the lining of the urinary tract. Cats also can develop a condition where they are prone to inflammation which leads to reoccurring UTI problems. What do I do if my pet has a UTI? If you see that your pet is having a very difficult time urinating and appears to be in distress you need to call the veterinarian immediately because they could be blocked. A blocked urethra is extremely painful and life-threatening so it must be treated as an emergency. Less serious cases still require a trip to the vet as soon as your animal can be seen. Your vet will want to do a series of laboratory tests on the urine so they may ask you to bring in a clean urine sample, but that is not always possible. Urine can also be collected via cystocentesis where the vet draws urine out of the bladder using a needle and syringe to collect an uncontaminated sample. (Cystocentesis is a very common procedure since it is difficult to get a dog or cat to pee in a cup!) The vet will usually prescribe antibiotics and pain medications to treat the infection. Extreme cases may require surgical removal of stones or blockages can be flushed back up the urethra where the stones can be dissolved. As mentioned, pets with a predisposition to UTIs will require continued vigilance to prevent reoccurring infections. Commercial veterinary diets are available to reduce urolith formation and help dissolve existing stones and crystals. How do Urinary Support Nutraceuticals work? Because there are so many variables involved in urinary health, many natural supplements exist to help address the problem from different angles. Humans with UTIs are often told to drink cranberry juice. Cranberry juice is a delicious and convenient option for people, but contains way too much sugar for it to be a good option for our pets. The main nutrient in cranberry juice that helps fight UTIs is called D-Mannose. D-Mannose is a non-metabolizable sugar that does not affect blood sugar or pH so it is safe for diabetics. When consumed, D-Mannose becomes part of the urine where it can collect bad bacteria out of the bladder. The bacteria binds to the D-Mannose instead of the lining of the urinary tract and is safely eliminated. It works particularly well on e coli, which is the most common bacteria to cause UTIs. Methionine is an essential amino acid that helps support kidney health by chelating heavy metals and regulating the formation of ammonia. When it is metabolized, the resulting product is sulfuric acid, which helps to acidify urine. It is especially helpful for helping to regulate urine pH when the pH needs to come down. 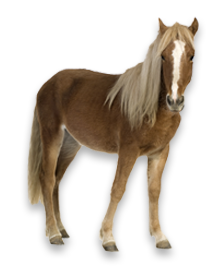 Be sure to talk to your vet before using Methionine because if the animal’s urine pH is already too low it would not be beneficial. Glucosamine is most commonly used as a source of glycosaminoglycans (GAGs), which are the building blocks for connective tissue like cartilage in our joints. The N-Acetyl form of glucosamine specifically targets mucus membranes like those linking the urinary and digestive tracts. Supplying the body with extra N-Acetyl-Glucosamine helps keep the lining of the urinary tract healthy and strong, protecting it from irritating crystals and debris in the urine. Infection occurs when bad bacteria gets into an already raw urinary tract lining. Providing your pet with healthy bacteria – probiotics – will help crowd out the pathogenic strains. Probiotics also produce short chain fatty acids which discourage the growth of bad bacteria. The most common treatment for a UTI is antibiotics. Antibiotic use will wipe out populations of healthy bacteria so it is great to reintroduce healthy strains to keep the system balanced. Corn silk is a natural diuretic, which means it helps to increase water elimination from the body. Drinking lots of fluids and peeing them out is the best way to flush the urinary system of bacteria, crystals and debris. It is rich in soothing polysaccharides to help ease pain and inflammation. The roots of this herb are rich in mucilage which is a viscous substance that helps to coat mucus membranes, protecting the delicate tissue. UTIs are very painful so the added mucilage sooths irritation and inflammation. Marshmallow root was originally used by the ancient Egyptians to make a sweet treat, but the recipe has since evolved to replace the marshmallow with gelatin to give them the squishy consistency so there is no actual marshmallow root or herb in the type of marshmallow you toast on a campfire. MSM supports a healthy inflammatory response which again is very helpful while dealing with painful UTIs. Research supports MSM’s ability to help ease pain associated with arthritis and new evidence is emerging that it is helpful for bladder infections (aka cystitis). Antimicrobial use guidelines for treatment of urinary tract disease in dogs and cats: antimicrobial guidelines working group of the international society for companion animal infectious diseases. 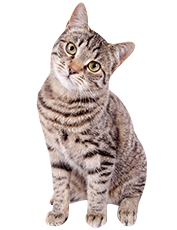 Companion animals symposium: dietary management of feline lower urinary tract symptoms. Antagonistic effects of atipamexole, yohimbine and prazosin on medetomidine-induced diuresis in healthy cats. First report of OXA-23-mediated carbapenem resistance in sequence type 2 multidrug-resistant acinetobacter baumannii associated with http://www.ncbi.nlm.nih.gov/pubmedcommons/urinary tract infection in a cat. Antimicrobial therapy of urinary tract infections.